Michael and Dana Pastula have been married for over 35 years. Mike has worked as a chef for Hyatt and Sheraton hotels, The Lodge at Koele, Aston Wailea, and Outrigger Resorts Hawaii. Dana brought her food and beverage experience from working in hotel restaurant management at Hyatt Hotels, Manele Bay Resort, and the Wailea Four Seasons Resort. Dana opened the first Cafe O'Lei in Makawao, Maui in 1997. It all started as a 5-table outdoor cafe serving sandwiches, salads, coffee, and tea in Maui's Upcountry. 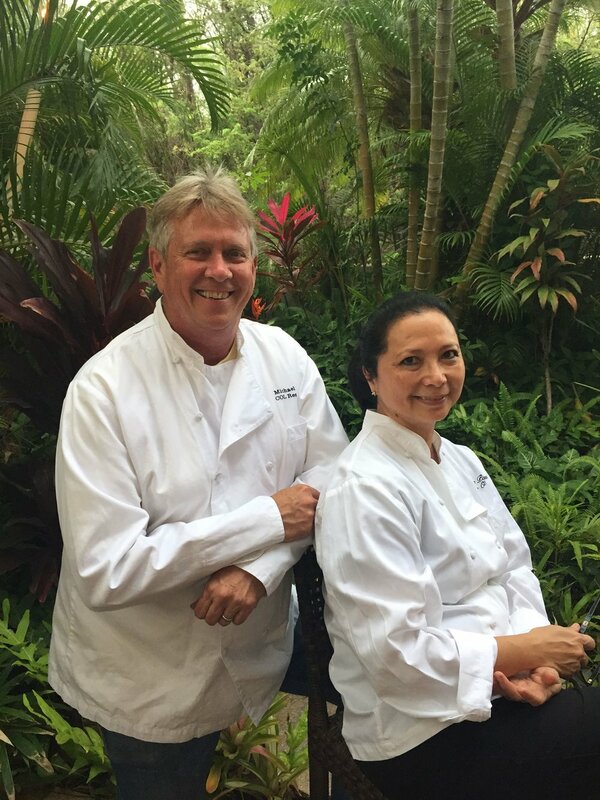 It didn't take long for her husband to join her at Cafe O'Lei, with Mike leaving his job as executive chef for the Outrigger Resort in Wailea to focus on expanding their business. The Cafe O'Lei brand quickly evolved into one of Maui's favorite and most trusted for quality restaurants and catering on the island. Mike and Dana enjoy spending time with their daughters, Cherub Lang and Claire Byler, who also work at the restaurants along with their husbands, Dan Lang and Darren Byler. More than anything else, they enjoy being with their five grandsons who happen to also be their most excitable food critics. Cafe O'Lei is truly a family-owned and family-run business!